Canada has amended immigration laws so that asylum seekers who have been refused in other countries find it harder to apply for asylum at the border. More than 200,000 people are awaiting the consideration of asylum applications in Canada, where the expectation of hearings by the Canadian Council for Refugees has increased on average to 20 months. “Amendments were made on Monday evening to the consolidated bill on the budget of 392 pages developed by the liberal government,” the report says. Canada took this step because of a situation where thousands of asylum seekers crossed the border after their asylum applications were rejected in the United States. 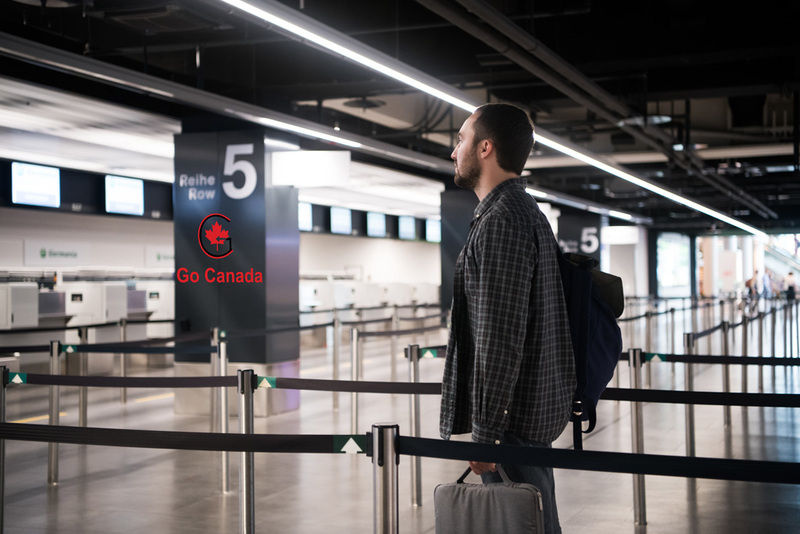 The law will allow immigration officers at the border to reject applications for refugees if the asylum seeker has already filed an application in a country that has an immigration exchange agreement with Canada. The list of these countries includes the USA, the UK, Australia and New Zealand. On April 10, 2019, the Ministry of Immigration, Diversity and Inclusion of Quebec published a notice regarding the class action against the ministry. This notice is intended for persons who filed an application for a Quebec Selection Certificate (CSQ) in the Regular Skilled Worker programme between February 1, 2012, and May 31, 2013, or between June 1, 2013 and July 7, 2013, or between July 8, 2013 and March 8, 2017, and whose CSQ application was refused subsequent to the entry into force of the new rules. A Settlement Agreement has been reached between the Plaintiffs and the Defendants. The Settlement Agreement is not an admission of liability on the part of the Defendants. On February 19, 2018, the Superior Court of Quebec authorized a class action against the MIDI and the Government of Québec. The authorized action alleges that the Defendants were unjustly enriched, committed a fault, and acted in bad faith by refusing to offer to reimburse the application fees paid Class Members whose CSQ applications were doomed to failure as a result of the application of amendments to the Regulation respecting the weighting applicable to the selection of foreign nationals.Some of the applicants are entitled to receive compensation 50% or 25% of the fees paid to submit his or her CSQ Application. On June 19, 2019, the Court will hear an Application for Approval of the Settlement Agreement and an Application to Approve Class Counsel’s Fees. The hearing will take place in Montreal. At this hearing, the Court will determine whether the Settlement Agreement is fair and reasonable and in the best interests of the Class Members. At the same hearing, counsel for the Applicant will ask the Court to approve the payment of $650,000 for its fees and $7,500 for its expenses, plus applicable taxes. The Toronto City Council is considering a new Refugee Capacity Plan that recommends changes to the City’s shelter system and a new Refugee Referral Centre to refer newcomers to immigrant and refugee support agencies. Founding Director of the shelter Matthew House Toronto, Anne Woolger, said she has been working with refugees for 30 years and has never seen a comprehensive plan yet. Over 55,000 refugee claimants came to Canada in 2018 and shelters and temporary refugee housing centres are overwhelmed. Refugee Welcome Centre Executive Director Sam Chaise said what they don’t want to see happen is that the plan just sits on a table and never gets implemented. Woolger said she would like to see refugees higher on the agenda of the City.